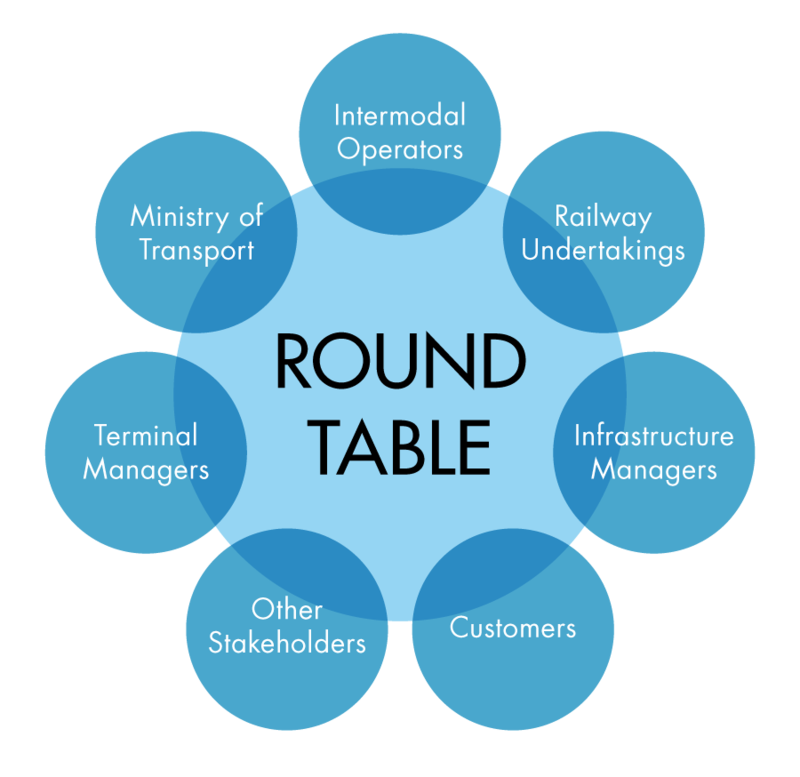 Promoting and disseminating intermodal transport towards targeted stakeholders is done by country specific round tables. The round table by SEE-country co-ordinates the findings and innovative ideas of the nucleus partners and CREAM and DIOMIS studies with intermodal operators, railway undertakings and other stakeholders at large relevant for that country (e.g. the ministries for transport, infrastructure manager, other railway and intermodal operators, port and terminal operators and or customers/shippers). The series of round table meetings will take place most likely in Slovenia (test case), Czech Republic, Hungary, Croatia, Romania and Bulgaria. It will be in detail to present the findings of the DIOMIS study, update the implementation plan (timing of activities) and discuss the recent achievements, status quo and future prospects of intermodal transport in the country concerned in order to achieve a consent about the growth perspective and coordinate regulative, financial and operational measures that will be necessary to foster the increase of intermodal rail services. The results of the preparatory work as well as the workshop achievements will be summarised in a “road map on intermodal transport” in the respective country that shall contain the current status and future prospects of intermodal transport in that country and any regulative, financial or operational measure required to improve the situation. It shall also identify relevant actors and time horizons for the realisation of the intermodal strategy.